A birthday is always a special celebration, regardless of age. It's important to enjoy yourself because it's the one day out of the year that belongs to you. Many people spend it with their family and friends, participating in activities of their choice. If you've run out of ideas this year or you don't know how to narrow down your options, there are still plenty of ways to make the big day memorable. There's no shame in making your own birthday plans, so explore your options and invite others to share your fun. Assuming no one has a surprise party planned, invite a few friends over for drinks and dinner. On your birthday, it's important to spend time with those who will put a smile on your face. If you don't have time to send out invitations, casually invite your guests over the phone at least a week in advance. Make sure they understand that it's not a big formal dinner, but rather a casual get-together. Let them know that you appreciate their company, and you would love for them to spend time with you on your birthday. If you aren't in the mood to cook for a big bash, make reservations at your favorite restaurant. Give your guests directions, a time and a date at least a few days in advance, and everything should go smoothly. You don't need to necessarily rent out a function room for the event--this should be a small, intimate dinner with your closest friends. 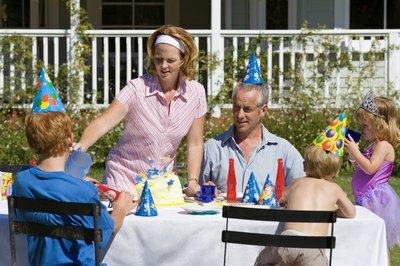 It can be just one of the many activities you do on your birthday, as oppose to the only activity. 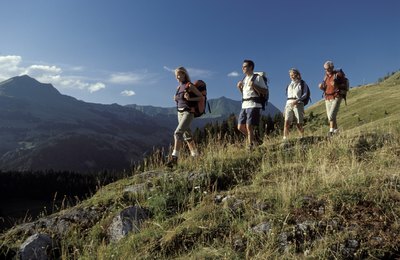 Day trips are a wonderful birthday activity for those with a hectic lifestyle. A week before the date, look into places around you that you've always wanted to visit. It may be a city, a rural countryside or a mountain resort. Regardless, it should be a place where you can relax and get away from it all. Websites like TripWiser.com and TransportDirect.info are great for planning day trips, and help you figure out the details according to how much money you're willing to spend. You can invite a few friends along, or just take the trip yourself. Make sure to pick a place that you know you'll enjoy, regardless if you're going alone or with others--after all, it's your birthday. On your birthday, it's perfectly understandable to be a little selfish. Throughout the year, we're constantly saving our paychecks and only spending money on necessities. Treating yourself on your birthday is the best gift you can give yourself after being financially responsible all year long. Don't set an alarm and sleep in on the morning of the big day. Buy yourself a gallon of your favorite ice cream, or the shirt you've been eyeing in the storefront window all week. Make an appointment to get your hair cut or get a massage. Do little things that you never think to do for yourself when you're busy running around. If you want to buy yourself something pricey, you may have to save up a week or two in advance, but it shouldn't be out of the question. We all deserve a little pat on the back once in a while for our efforts, and birthdays are the perfect time to do it.